Koala, Platypuses, and Wombats…Oh My! Down under things do seem upside down from time to time. A mammal that lays eggs, likes to swim a lot of the time, and has a bill like a duck. A bear that is not a bear. And a prey that can turn into the hunter, when a wombat gets its back up! All of this and more can be found in Brisbane, Australasia’s Lone Pine Koala Sanctuary, which has been providing injured and endangered animals a safe home since 1927. It is a place that is fun to visit, but like many of the attractions in Australia and New Zealand, it is also a serous minded sanctuary and educational facility. But don’t tell the kids, they might prefer to learn their facts as part of the experience. 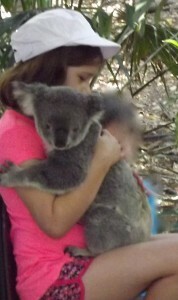 One thing for visitors to learn is that Koalas are not actually bears. Koalas are related to wombats, which is another critter they have at the refuge. Wombats are a bit like a badger, except wombats have learned the trick of killing predators by running into a burrow and then crushing the predator (such as the un-wily fox) by lifting its very heavy and hard backside up and crushing the predator against the top of the burrow. When you visit the sanctuary you will be allowed to hold a Koala, with the help of a naturalist, so that photos can be taken. The Koalas apparently don’t actually mind the experience as they only “work” for a half an hour at a time and those who don’t like being handled are not included in the Koala cuddle attraction. The Koalas also get regular days off. 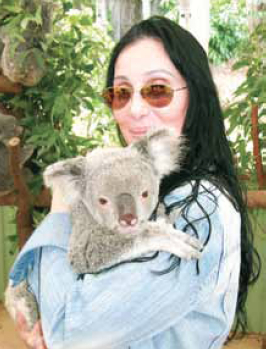 A donation is collected for each photo and the funds are used to re-establish Koala habitats. Koalas only eat certain Eucalyptus trees and over the last century most of these trees have been cut to create home sites for humans and grazing land for sheep and cows. The sanctuary is working with local landowners and a non-profit foundation to provide replant these trees and to protect the areas which are still home to wild Koalas. According to Rebecca Bain, Head of Mammals, the Sanctuary has many school groups visit and while students are feeding Kangaroos, petting Koalas, observing platypuses through an underwater window and so on, they are also learning about how to protect the Australian environment, as well learning about the latest research about what scientists are learning about these animals. Ms. Bain is committed to creating a culture where the animal’s care comes first, while at the same time making sure that guests feel welcomed, engaged and interested as they learn more about how to protect endangered animals and plants in Australia’s countryside. Activities at the sanitary include: “koala cuddling” (hug a koala with a photo), kangaroo feeding, bird of prey show, lorikeet feeding, platypus presentation, snake holding and a sheep dog show with dogs who are so smart that they cost up to $10,000 Australian dollars each (each dog can replace two human sheepherders). We recommend this excursion for anyone who will be staying in the Brisbane area. You need to visit at least one Koala sanctuary while you are visiting Australia. Who knows, maybe you will see Cher while you are there! Where: The central Eastern Coast of Australia (the Gold Coast), Brisbane. 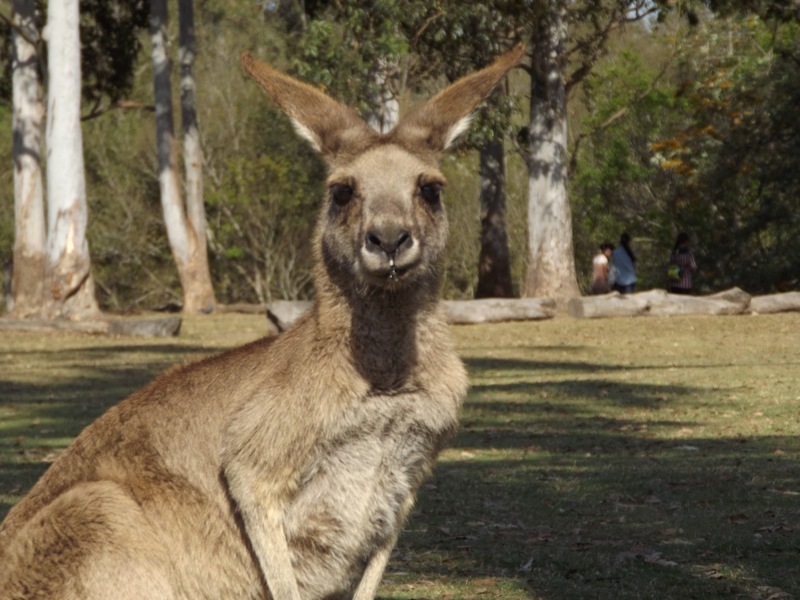 Open: Lone Pine Koala Sanctuary is open from 9am-5pm every day, except April 25 and Christmas Day. Cost: Adults $22-32 Children $20 (ages 3-13) Australian dollars. Food: Several kinds of food, including fresh fruit, are available at the store and a café, which has signs indicating that it has Halal chicken. Moderately priced.